Welcome to Flowersmiths Horwich. Situated in the historic town of Horwich, near Bolton, Flowersmiths is a boutique florist specialising in bespoke designs. With over 18 years experience in the floristry trade our friendly florists are passionate about helping you to choose your perfect blooms. At Flowersmiths Horwich Bolton, we stock a large range of fresh flowers to create your perfect floral gift in any style, be it a stylish contemporary design or a beautiful rustic or vintage style arrangement. We will take the time and care to create some beautiful and unique for you whilst you wait. Need your flowers or gift delivered? Our delivery service is available in and around the Horwich area, and also includes Blackrod, Adlington, Bolton and Chorley. 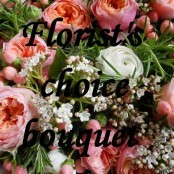 We offer same day flower delivery on orders placed before 2pm. In addition to flowers we have an extensive range of indoor and outdoor plants, as well as a whole host of gifts and homeware. If you are looking for that special gift, then look no further than our unique candles, greetings cards and handmade bunting. Why not drop in and have a browse at our full range, we really do have something for everyone. Our team are always on hand and will be glad to answer any enquiries you may have. 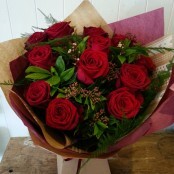 Same day flower delivery on items ordered before 2pm. Flowersmiths shop is located at 97 Lee Lane, Horwich, Bolton BL6 7AU, or you can telephone us on 01204 697 924. Thank you Flowersmiths Bolton my relative's were over the moon with their table centre piece and delivery. ???? many thanks. Sue Yeo.